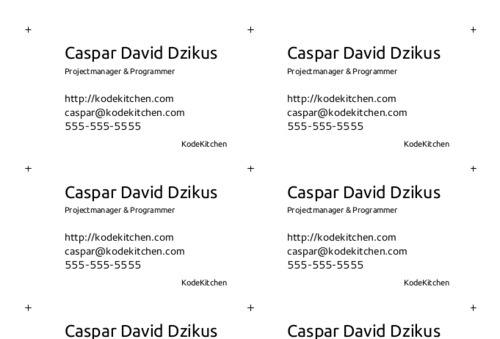 So, I needed some business cards for a meeting but I rarely ever need more than 8 or so at a time (yes, I’m aware that they look less classy, but having some done would have taken to long) I decided to make some with Latex. Next I got rid of all elements that by default come with the article documentclass and redefined width and height of the paper to match an A4 sheet and some other dimensions. After that I declared all text elements that should be on the card.